Buying a new car can be an overwhelming and consuming experience – whether it’s your first purchase on your own or your seventeenth, the process is still a long one. The last thing you want to do is make a hasty decision on such an important purchase, but how can you make sure you’re looking at the right things when considering which car to buy? Don’t worry; we’re here to help with 6 things to look for when buying your next car. Airbags: Does the car have the minimum number of airbags (4) to earn that 5-star rating, or did the makers go above and beyond to provide 6 airbags? Which crash-test rating are you looking at? Believe it or not, there are several. The ones you’ll typically see score more strictly in different areas, so check each to see what factors matter to you most. Combining the results of each rating can give you a more whole picture. Reversing cameras and sensors – For some people, these are more of a distraction and a help, but if it’s important to you, ask questions about the cameras and sensors in each cars you check out. When it comes to warranties, you want to be sure you’re getting the best possible deal you can get. Go for the (mostly) standard five-year warranties, and look to see how many miles are covered. Some warranties may be 5-year/unlimited miles, while others will have a mile limit. Above all else when it comes to warranties, be sure you watch out for the “aftermarket” warranties. These aren’t covered by a dealer, and 9 times out of 10 they aren’t worth the extra cash you would spend on them. Instead, stick with the warranties offered by dealers, which should cover everything you would need for the first few years. This one may seem pretty basic, but it’s actually a very valid safety concern. Even if you’re not a new driver, you may not be aware that your car comes with auto headlights. Make sure you know so you don’t accidentally go driving around at dusk or dawn with no headlights on. If you’re afraid you’ll forget to activate the lights when needed, just keep them at “auto” and let your new ride do all the work for you. There’s almost nothing worse than getting a flat and not having a spare tire in the trunk. Car dealerships aren’t obligated to let you know if they have spare tires in their cars or not. Although the kinder ones may proactively let you know, it’s always a good idea to ask just in case. If the car doesn’t have one, they may be able to give you one for a modest fee, unless of course you want to put one in of your own. It’s no secret that dealers want to make absolutely as much money as they can – and why wouldn’t they? Because of that, they probably won’t tell you about every single rebate you qualify for. Be smart and do your research before you walk in the dealership, so you can take advantage of every single rebate you’re qualified for. And of course, if you receive any rebates or other special offers in the mail, take them with you to the dealership so you can get that car you really want at a price you can really afford. This is one point many people don’t think of, so don’t feel bad if you didn’t, either. What is the invoice price? It’s the amount that the dealer paid the manufacturer for the car. Of course, the dealer wants to make as much money as possible, so the price tag – known as the manufacturer’s suggested retail price (MSRP) – you see on the car lot is going to be hundreds, if not thousands, more than the invoice price. Having this piece of information is crucial to getting a good deal on your next car – if the dealer sees you mean business, you’ll be a lot more likely to get the car for an amount much closer to the invoice price than you would have otherwise. 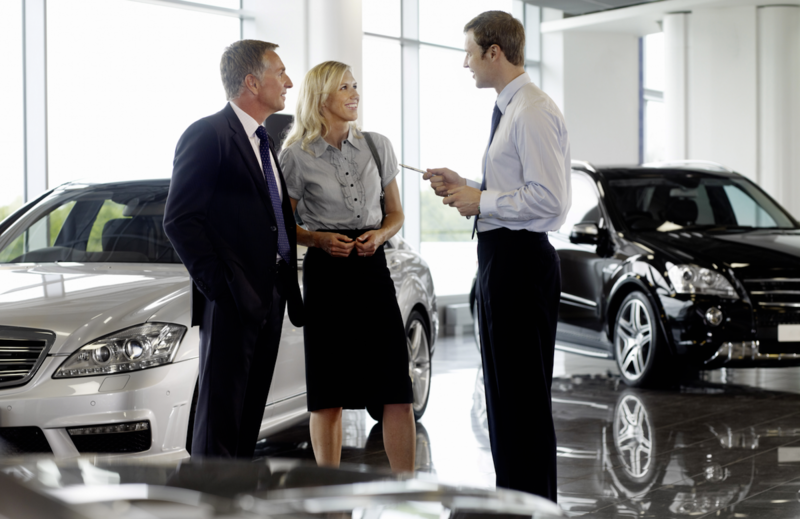 Bottom line: Buying a car – new or used – is a big deal. There are a lot of “buy new car” guides out there with good information, but remember to take your time and trust your instincts.